Temporomandibular disorder (TMD) is a complex process that affects the temporomandibular joint (TMJ). The multifactorial process is of unknown etiology and has many manifestations and thus many management options. Photobiomodulation therapy has been suggested for management of TMD, despite the lack of understanding of its exact mechanism. The aim of this study is to examine the effectiveness of photobiomodulation in the treatment of myofascial type TMD. 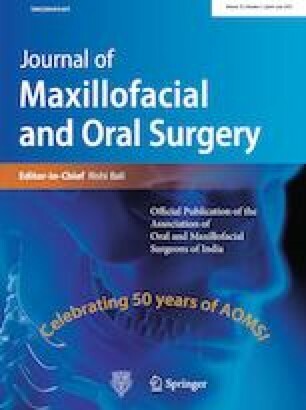 Patients with unilateral TMJ and masticatory muscles pain during function were recruited and divided into two groups: a control group that received a sham laser treatment every 48 h for 10 days and a test group that received the same frequency of treatment to deliver a dose of 257 J per treatment and a total dose of 1285 J for the entire treatment. Pain was assessed using the visual analog scale (VAS). There was a significant difference in VAS scores between the test and control groups with the test group scoring lower. Photobiomodulation therapy proved to be an effective short-term therapeutic modality for myofascial TMD pain. It is non-invasive, easy to apply with no systemic side effects. Its long-term effect and its effect on different subtypes of TMD need further investigation.